If you’re a beach bum, these spiked drink holders are a must-have! 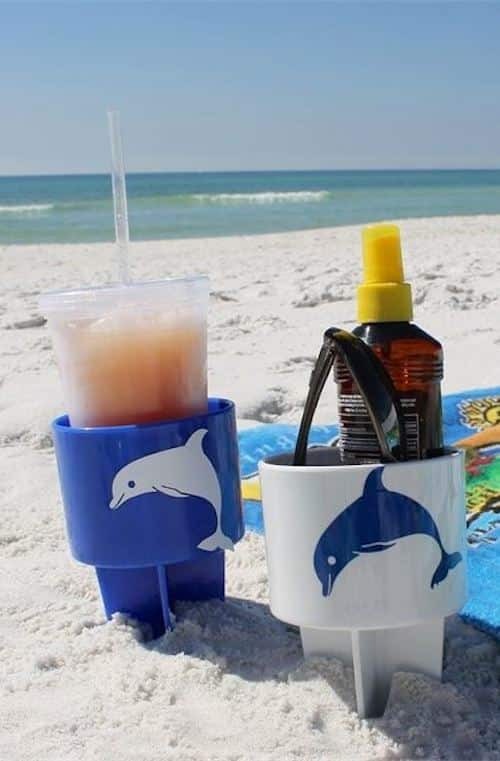 Simply poke them into the sand to hold your drinks and other items to keep the sand off. They come in a pack of 6 for about $35– not bad! 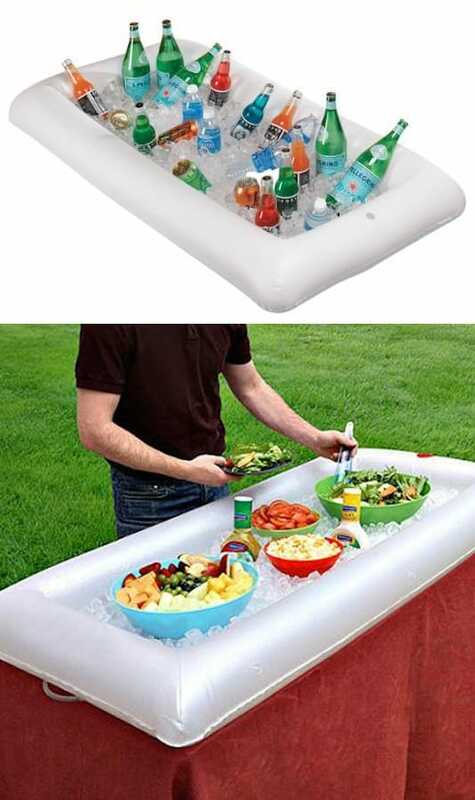 I’m pretty sure this idea started with a small inflatable pool that was used as a large ice chest (brilliant! 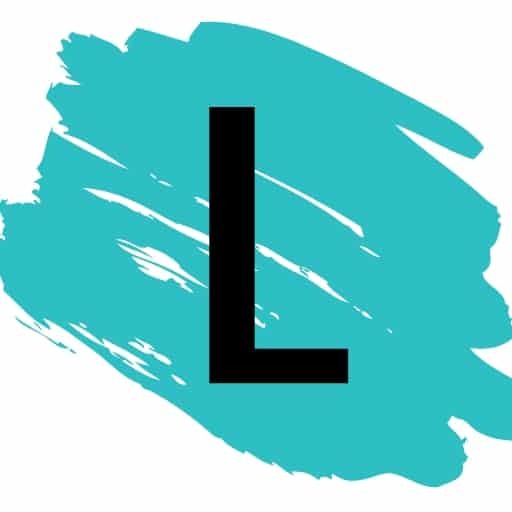 ), only this inflatable serving bar is made in the perfect shape to fit on top of a table, and is made with a convenient drain valve for when you’re finished. 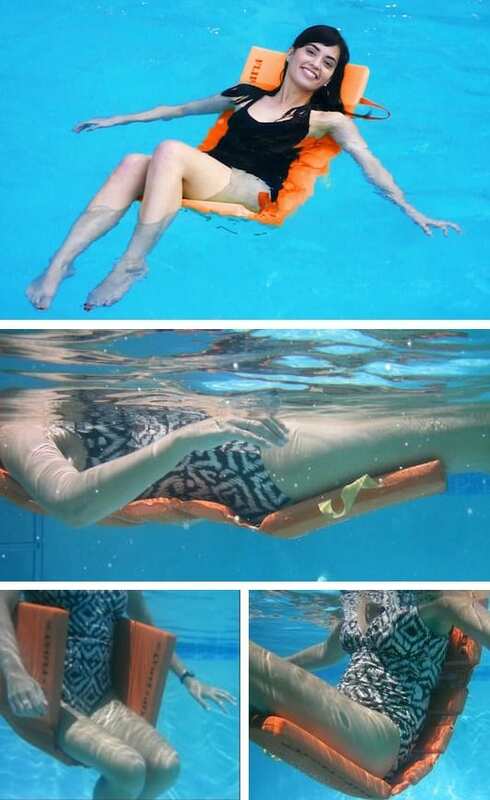 The beauty behind this pool lounger is that it never needs inflating! I’ve gone through too many pool floats that only last one summer to ever buy those cheap blow-up floats ever again. I like how you can use this one to lay down, lounge, or sit up in the water.